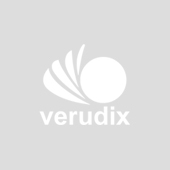 Verudix is a leading web design and development agency, committed to creating beautiful, responsive, feature rich and easy to work with, themes, templates and plugins. If you are looking at enterprise level, complex, and medium to large standalone WordPress content management system (CMS) website/web application development. Verudix can help in meeting your requirement whether it is a WordPress custom Plugin development, Plugin security development, using various APIs like WordPress Options API, WordPress Setting API and WordPress Transients API. In addition, we can help in integrating WordPress menus, WordPress Widgets, WordPress Hooks and Filters. If the requirement is to connect WordPress to remote systems and store and retrieve data, Verudix can help in availing WordPress HTTP API to meet your requirement. Further, if requirement is to run batch jobs, maintain multisite WordPress, debug WordPress errors and optimize WordPress website, Verudix can perform all those tasks. Also, for WordPress blogging requirement, Verudix can help in extending WordPress Posts and WordPress meta data, create WordPress taxonomies and WordPress custom post types. Verudix can bring dynamism to WordPress website by including Java script and Ajax in WordPress. WordPress custom Theme development and Template development can bring freshness and uniqueness to a website. Integrating various components like social media, advertisements, pushing the WordPress content to other sites require expertise to meet stringent requirements. Verudix has done search engine optimization (SEO) for WordPress websites and can leverage WordPress social media integration points to do On-page Optimization for WordPress. Verudix has experience in using Gantry framework for WordPress and can extend WordPress templates using the framework or create new templates using the framework to speed up the development process. Mobile website using WordPress templates and themes can bring the site experience on the go to visitors. Any custom theme can be developed and deployed for WordPress.